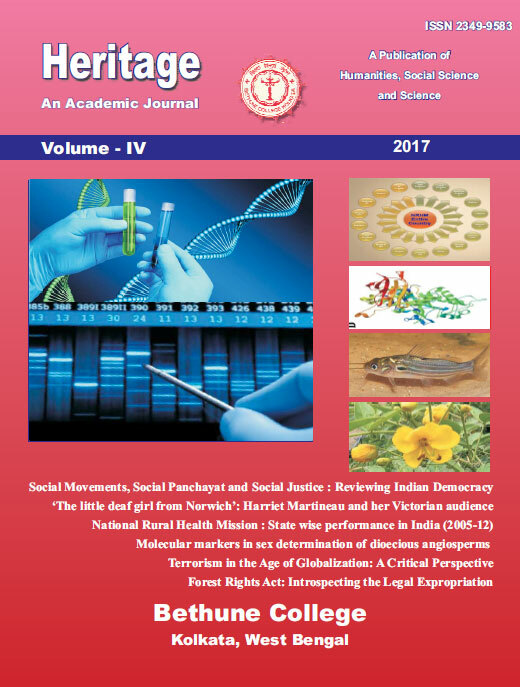 The academic journal of our college, Heritage, is being published annually since 2014 bearing the ISSN Number 2349-9583. It covers a diverse range of subjects catering to an eclectic readership. It is exceptionally suited to needs of academic research and praxis bringing together articles that address contemporary issues and also take a critical look at historical construction and discourses. In the profound richness of analytical investigation, the diversity and plurality of expression, discussion on significant aspects of traditional perception complemented by re-reading of sciences, literatures and cultures, Heritage seeks to facilitate critical analysis and open new vistas of thought. The Journal reflects the vast possibilities of interdisciplinary literary and scientific research as well as practical applicability of theories and tools in various aspects of life. This also paves way for collaborative research across various disciplines. It is an intellectual reservoir of pertinent information with a holistic approach to research creating a synergy between the teaching/ learning/ research triad.